History – How the Left Continues to Rewrite America’s Past: Mark David Hall from George Fox University is back with us to discuss a new book that’s out from the authors of The Godless Constitution. How are these gentleman getting away with tearing our country’s founding apart without any documentation? What can we do about this revisionist history? Tune in now to find out! You’ve found your way to the intersection of faith and the culture. 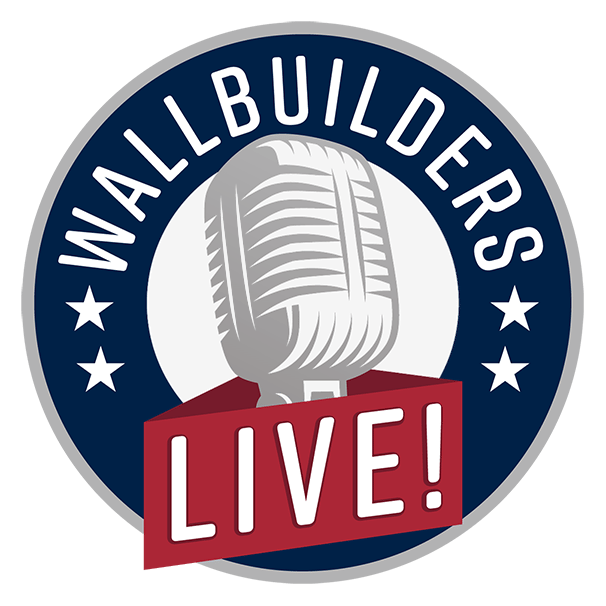 It’s called WallBuilders Live and we’re talking about all the hottest topics of the day from a biblical, historical, and constitutional perspective. We’re actually applying those things to all these different areas of faith and policy in the culture. And we’re doing that with David Barton. 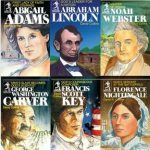 He’s America’s premier historian, he’s the founder of WallBuilders. Also, Tim Barton’s with us – national speaker and pastor and president of WallBuilders. And my name is Rick Green, I’m a former Texas state legislator. We appreciate you being with us. We’re looking forward to a great program. Later in the program, Mark David Hall will be with us from George Fox University. And you can also find out, by the way, I forgot to mention two websites we’d encourage you to go to even before we get to the interview. 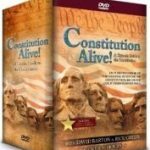 If you go to WallBuildersLive.com you can actually get to all of our other interviews and Good News Friday programs, Foundations of Freedom Thursday programs. We actually have archives of several months of the programs right there at WallBuildersLive.com. 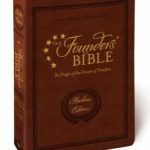 So, if you’re a new listener and you’re thinking, “Hey, I liked that biblical, constitutional, historical, perspective on that particular topic”, get on the website there at WallBuildersLive.com and scroll back and get even more of those great programs. And also consider making a donation. You can do a one time donation or a monthly donation. It’s that listener supported– it’s listener supporters like yourself that make it possible for us to even have this program. So, thank you for that consideration. As I mentioned, later in the program, Mark David Hall. Guys, we’re going be talking about, actually, some authors that wrote a book that, David, one of the first times I heard you speak this was one of the things that really stood out to me. Because I think I was in law school when somebody handed me one of your cassette tapes. I know that’s aging us, bro, we might ought to delete that. But they handed me one of those. And you were talking about this book, The Godless Constitution. And you talked about how there weren’t even any footnotes in it. Here I was a law student going, “Man, we’ve got to footnote everything we say and these guys are claiming that America’s founders were all atheist and desist and not showing any documentation.” You really caught my attention with that. And part of their kind of their note on sources on the end they say, “Well, it’s because this– what we’re saying is so obvious it doesn’t have to be footnoted.” And if you want to know more they then give a bunch of books that they encourage you to read if you want more information. But they’re talking about the Constitution, which, back up to 1787 is when that happened. And yet all the books they encourage you to read are largely from the mid nineteen hundreds and more recent. So, they don’t even have any books before the nineteen hundreds. Which, like, you would think Constitution, let’s go back to some of the guys who were there. Let’s go back and read Washington, or Hamilton, or Madison, or Wilson, or Morris, or guys who were actually there. No, no, no, let’s just read what modern books say, is their suggestion. And we don’t even need to footnote this because it’s so obvious to everybody. It certainly is not a very well done academic work from two guys that are seemingly very smart guys. Well, as if that’s not enough. They’re back. They have another work out. And this work, professor Mark David Hall, a great guy from George Fox University, who does write very extensively on the Founding Fathers, who does use original documents, who’s got great books out, we’ve had him two or three times on the program with books he’s written the last three or four years that are really good on this. Mark David Hall to point out what’s in this new book by Kramnick and Moore which means it is coming to a university near you and this will be rhetoric that you soon will hear from those around you. Because this last book, The Godless Constitution, really did make the rounds. We saw it cited by courts, we saw it cited in legal briefs, we saw cited in law schools. It was required textbook across the country in so many universities. So, you need to be aware of what’s coming out in this next one because you’ve got kids, grandkids. Or if you’re about to head to college you may be seeing this book, so it would be good to know what’s in it and how to handle it. Mark David Hall, professor from George Fox University. He’s going to be with us when we come back right here on WallBuilders Live. Welcome back to WallBuilders Live. Thanks for staying with us. Mark David Hall is back with us. Professor there at George Fox University. 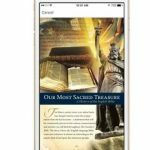 And new book coming out – not out yet, I don’t think, but it’s called, Did America Have a Christian Founding: Separating Modern Myth From Historical Fact. Mark David Hall, thanks for coming on, brother, and when’s the book coming out? Well, thanks so much for having me. It will be out in October. So, it’s still a while yet, but I wanted to get that on everyone’s radar screen. I think your listeners will love it. I have to say myself. Well, it fits for today’s topic for sure. A new book also out by the folks who gave us The Godless Constitution which we’ve had a lot of fun poking fun at over the years. No footnotes, they don’t document anything, just kind of say, “Trust us on this new theory we’ve come up with.” And you’ve been an also outspoken critic on that. What about the new book? Did they do any better on actually documenting their research or lack thereof? The new book is a little bit different. Basically, it’s a history of atheism throughout American history. And they do actually recognize that throughout most of American history most Americans have been Christians and have not thought too highly of atheists. But even so, on the very first page of the book they return to this sort of ridiculous claims that they make in The Godless Constitution. I’ll read you just a brief sentence. They say that, “The ex-British colonials who had just forged a union didn’t regularly attend church. 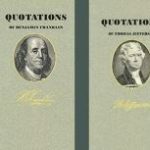 Many of the prominent white men who wrote the nation’s fundamental document called themselves deists.” “Many of the founders called themselves deists” – by my count you can maybe get to two – Ethan Allen and Thomas Paine. And as you know, Paine isn’t really an American. He’s born in England, comes over here for a while, and then goes back to Europe. So, he spends most of his life in Europe. In Europe he writes The Age of Reason, which is a deistic work. When he came back to America in the early 19th century he was vilified because of this work. It was just well beyond the pale. His former friends didn’t want to have anything to do with him. Even the Quakers wouldn’t let him be buried in a Quaker cemetery when he died. So, to say many of America’s founders called themselves deists, it’s just an utterly a-historical claim. What do you think gives them the credibility that gets these books out there. Because it’s had a pretty big influence. I mean, the left loves to jump on this. Why are they so well accepted? Go ahead. It’s an odd thing. They’re very smart people – PhD from Harvard in one case, Yale in another. I’ve read some of their other books and they can do good scholarship. I think when it comes to this question, in The Godless Constitution they just say outright this is a polemic. And I think they somehow feel a license by calling it a polemic that they no longer have to do good serious scholarship. They should know better. I’ve been critical of them in print, my friend Daniel Dreisbach has, I know you guys have, they should know better than to make claims like this. I just think they either don’t care about the truth, or because they’ve decided to call it a polemic they feel they can just make outlandish claims and not document them. And like in The Godless Constitution, this book has no footnotes. They say, “Well, you can just google the quotations if you want to see the citations.” It’s a ridiculous approach to scholarship. And I assume the reason they they wanted to attack the idea of of our Christian foundations, are they atheist themselves? If this new book is a history of atheism, they definitely have an interest in that. Do they claim to be one or the other? I’m not sure that they actually claim to be, but the last parts of this book bring it right up to the present day and they talk about exciting innovations, and atheist groups being founded in high schools, and this sort of thing. So, that would be my guess that they are. They certainly– they tend to praise atheists that have existed throughout history and lament the discrimination against them. Things like religious tests in the past. I’m not a big fan of religious test either, but yeah, I think there’s definitely an agenda at work here. So as to whether they’re atheists or not, I don’t know, but they definitely are kind of pushing this agenda. They’re very troubled by Christians being active in the public square, drawing from their Christian faith. They believe the public square should be secular. And they certainly like the idea of electing atheists to office and that sort of thing. Are We Getting Better at Mounting the Defense? Professor, is there, in your opinion, as you’ve watched this over the last few years and participated in it, a better response and defense of our history in the last couple of years and in the coming years? I mean, obviously that’s the purpose of your book – really giving us historical fact on the Founding Fathers. But it seems for a long time there we just didn’t feel the need to defend that. It was just common knowledge and that was our history. But the last 50 years that hasn’t been the case and it’s taken us a while to really mount the defense. Are we getting better at that? I think we are for sure. 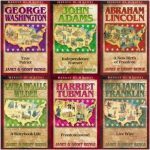 And I think– there’s just– one of the things I do in my new book is I begin each chapter with about a dozen quotations from prominent scholars or popular authors saying things like most of America’s founders were deist, America’s founders created a godless Constitution, America’s founders desired to strictly separate church and state. So, these claims are being made all over the place. And what I attempt to do, and I know you guys have done and others, is to just simply say this is not historically accurate. There’s no good reason to believe that these historical claims are true. And I think simply getting history right is a worthy endeavor in and of itself. But I think the founders, on both the left and the right, everyone wants to appeal to the founders and have the founders on their side. Which, perhaps, creates an incentive to make the founders say what you wish they had said. So, I can’t help but think that this is what we see from the left. And sometimes their methodology makes this not seem unreasonable to them. If you only look at Thomas Jefferson, and a later, John Adams, and Tom Paine, you definitely can say, “Well, these folks were not Orthodox Christians” and that’s an accurate claim. That they wanted, certainly Jefferson and Madison wanted a stricter separation of church and state then most of their peers. So, these are not utterly ridiculous claims, but when you turn your eyes to the founding generation as a whole, to the Constitutional Convention as a whole, to the first federal Congress as a whole, these claims utterly become foundationless. They’re just really, really, bad historical arguments. So, I think we are becoming better at showing this and documenting this truth. So, for those out there that they want to know more about this and are studying these things, it sounds like from what you just said one guiding principle could be make sure you take the quotes, you put them in context, you understand that if they, for instance, a founder wanted to be stricter than their colleagues,well, what’s relative there? Like what what was that in comparison to their colleagues versus today in our Supreme Court and kind of the trend of our country? And then another thing would be, like you do, actually look for books that give actual quotations, and actual footnotes, and endnotes, where you can go back and look at original sources. I remember David Barton telling me years ago – when you’re looking for a book you can trust, if you will, look in the back at the endnotes and if they’re quoting professors from the last ten years only, and not going back to original documentation, there might be an issue there. I think that’s exactly right. So, any good book on this subject is going to be based on the primary sources and they should be thoroughly cited. So, if you look at my book, you can go immediately to every primary source that I reference or quote. And, yeah, that’s good scholarship, that’s good practice. Well, man, we sure appreciate your hard work and what you’re doing. Looking forward to the book and when it comes out, let’s be sure and get you back. It’ll be in October. It’s called, Did America Have a Christian Founding: Separating Modern Myth From Historical Fact. That’s a big part of what we encourage people to do. Go study that truth and get those facts. Professor Mark David Hall, appreciate your time today, sir. Hey, thanks so much, Rick. Have a good day. Stay with us, folks. We’ll be right back with David and Tim Burton. We’re back here on WallBuilders Live. Thanks for staying with us. Special thanks to Professor Mark David Hall for joining us from George Fox University. Back with David and Tim Barton. And, guys, just a great heads up from Professor Hall about their next book. It sounds like they might be making it look like they’re documenting it a little more, but not much better than The Godless Constitution. Well, a couple of things. We’ve had Mark on before and he’s so good and so knowledgeable in so many areas. We’ve had him on to talk about the difference between socialism, and communism, and fascism, and different things that people stumble on as they’re trying to figure out what claims are. But he’s from George Fox University. You guys know who George Fox is? Go back to the Reformation. He is a nonconformist. He’s the guy who got William Penn in so much trouble because William Penn heard his teachings and followed him. And William Penn left the Anglican Church and became a Quaker. He’s the founder of the Quakers. So, when you’re saying he got William Penn in trouble, only in trouble in the sense that when William Penn followed what he learned, it got William Penn in trouble because he wasn’t kind of going along with this Anglican position. –and William Penn followed it. Yeah. And he– William Penn ended up in jail so many times for following the teachings of George Fox. They had what was called The Conventicle Act in England. They said, “You cannot have more than five people gathered together and talking unless they’re all Anglicans.” So, guess what that does for everybody else? Well, you get five Quakers together, you’re on your way to jail. And that’s literally what happened. He would stand in the streets, he would street preach about the teachings of George Fox and about, really, nonconformism is was what it was – don’t conform to all this highfalutin theology that’s not biblical. So, that’s George Fox University. The second thing is Mark said that this new book is a polemic. Alright, define polemic. It’s like an attack, right? It’s like a purposeful kind of terror down whatever it is you’re– in this case going after the faith of the Founders, let’s say. Yeah. Now, here’s the definition. And this is important to understand because a student that maybe is a sophomore in college, who’s maybe 19 or 20, will not understand the difference between a polemic and an academic book written by two academic professors who have academic credentials. I’m feeling guilty, by the way, I just have to tell you. I was Googling that while Mark David Hall was talking. There you go. There you go. Just in case you all were wondering how I knew. Now I feel better about myself. Okay, if you had to Google it, I feel better. I had no idea what it was. I feel better admitting that on the air to millions of people. Okay, go ahead, sorry. And, again, I say that because that’s what Wikipedia so often does. You look at their articles, they’re often polemics, they often attack those they disagree with, there is not any kind of a balanced perspective there. Occasionally they get the dates right on something, but not much else in a lot of ways. So, what you have here is not an academic book about atheists – it’s a book against something. Now, if you’re going to be writing in favor of atheists, what do you have to be against? Exactly. Exactly. So, this is a book that is designed to smash faith, and religion, and Christianity by showing how great atheism is, but it is a polemic. And he said they admitted that it’s a polemic. So, now, again, most people don’t know what that word is. But what they have told you is we’re going to make ourselves look good by attacking everything on the other side. So, Mark started by reading one sentence out of that book and I want you to notice the three things that were in that one sentence. It says the Founding Fathers were white men. Now, let me ask, why does that make a difference? Why does white men make a difference? Because whites are oppressors of all other nations. That’s it. So, if– when I talk about traffic lights, or air conditioners, or lawn mowers, they’re all created by black men. But you know what? That doesn’t matter to me at all. I use all those products, I like all those products. Who created them doesn’t have anything to do with it. Had no idea about any of those things, by the way. Remember What Martin Luther King Jr. Said? –it’s irrelevant. It is irrelevant to the discussion unless you’re trying to make a point beyond what the discussion is. We’re talking about the greatest Constitution in the history of the world, the most successful nation in the history of the world, why do we care whether they were white men, or purple men, or anything else? So, yeah, instead of focusing on the principles of the Constitution and saying that’s a bad principle. We say, “Oh, look at the people that gave it. Therefore it invalidates what it is because they were bad people.” And how do we know they were bad? Because look at the color of their skin. Which, yeah, it seems like Martin Luther King Junior said we shouldn’t focus on skin, but the content of character. But this is, you’re right, this is just one of the ways they choose to attack the Founding Fathers – they must have been bad because they were white. They were white. And that’s really irrelevant to the discussion they’re going to have about atheists anyway. So, this is an attack on the Founding Fathers right off the bat. The second– thing they’re white man, and second, they didn’t attend church. Now, I wonder what you do with John Adam’s statement he says, “I’m a church going animal.” I wonder what you do with George Washington going to church twice a week for 40 years recorded in diaries. Oh, there’s– but we don’t want to get in to documentation because, again, this is a polemic. And the third thing he says they are self professed deists. And as Mark pointed out, out of 250 Founding Fathers, I can name a couple – Ethan Allen and you can also name Thomas Paine. I would go further and say, well, you could name Charles *Lane, you could also name Henry Dearborn – I can come up with maybe four or five out of 250. I had this discussion a year ago with an academic from Notre Dame, a scholarly guy, and he said, “Well, you overstate the faith of the Founding Fathers. They were largely deists.” And I told him, “Okay, you name a deist Founding Father, every deist you name I’ll name five evangelical Christians. Let’s see who runs out first.” He did. So, now you’ve got these– in the opening sentence, they’re white men who didn’t attend church and their self professed deists. Now, this is the book that’s about to be used academically. Are you kidding me? So, this is the tone of what Mark is bringing out. But you need to understand this is a polemics and to make atheism look good they’re going to have to attack all the faith stuff. And here’s the other point that I’ll bring out because we’ve been talking recently about the way you really get to truth is you ask questions. So, let me ask a question. If you look at two thousand years of Christianity and you say, alright, these are religious Christians, how many people did they wrongly kill in two thousand years? How many people did Christians wrongly kill? How many people did– these bad, bad, evil, Christians. How many people did Christians wrongly kill in two thousand years? Well, I think you’d have to specifically point to the Crusades. And how many people were actually killed in the Crusades. And, you’re right, and how much of it was war, how much of it was in execution. But, you really are, it seems like, in the thousands, tens of thousands. Is kind of the level of what you are in. I disagree with that. Hitler was an occultist, he was everything wrong, he was– he killed Christian pastors. But I’m going to give her that. I’m going to say, “Okay, let’s call Hitler a Christian and let’s add 13 million to the tally. Let’s add the 27 in the Witch Trials in Salem, let’s add the 500,000 and the Witch Trials in Europe, let’s add every conceivable atrocity we can, and we’ve come up with less than 20 million in 2000 years. Now, let’s start with 1901 and say how many have atheists killed since 1901? Over 100 million very easily. Because what you can do is 62 million killed by the Soviet communists, 35 million by the communist Chinese, one point seven million by the Vietnamese communists, the Polish ethnic cleansing, one point seven million in North Korea. Stalin himself murdered forty two point seven million. Mao Tse Tung murdered thirty seven point eight million. Vladimir Lenin – four million. Tojo four million. Pol Pot one million. Now, this is just the 20th century. Atheists in the 20th century have murdered more than 100 million people and Christians in two thousand years have murdered under 20 million. So, tell me what the benefit is of atheism over Christianity. But in a polemic you’ll never get those questions answered because these academics are out to prove their viewpoint and make it look like it’s academic and it absolutely is not. Alright, Mark David Hall was our special guest today. We want to thank him. We’ll have him back when the book is ready in October, if not before. We usually have a good topic for him to cover. He’s always great when we have him on the program, but we appreciate his time today. Appreciate you listening today. And we also appreciate you going to our websites at WallBuilders.com and WallBuildersLive.com and consider making a one time donation or a monthly donation. We greatly appreciate our supporters out there that make this program possible. Thanks so much for listening to WallBuilders Live.